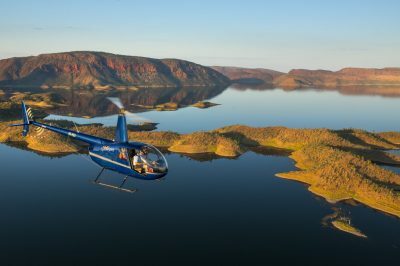 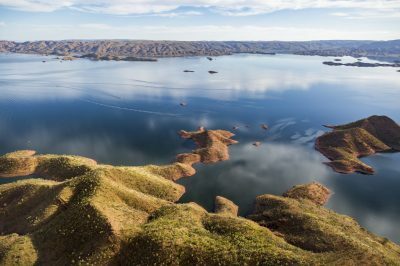 This scenic flight takes you on an unforgettable adventure over the Bungle Bungle Range, Lake Argyle and the Ord River Irrigation Area. 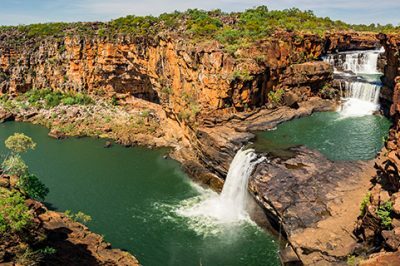 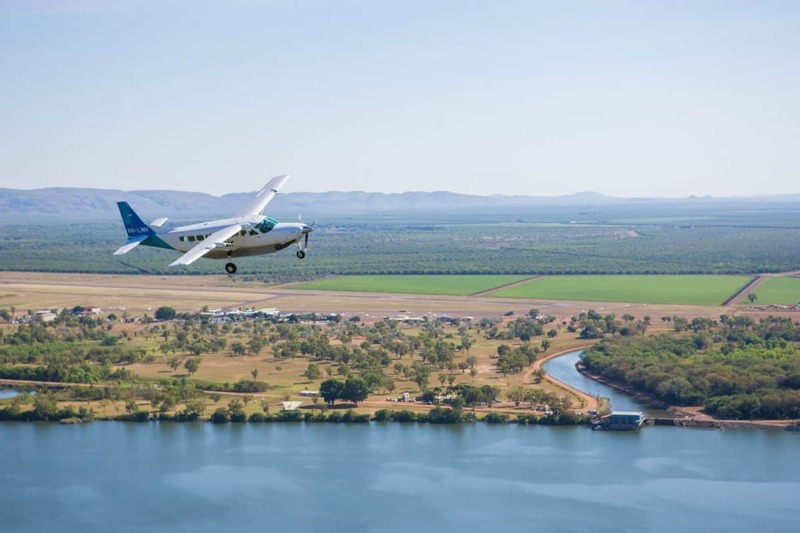 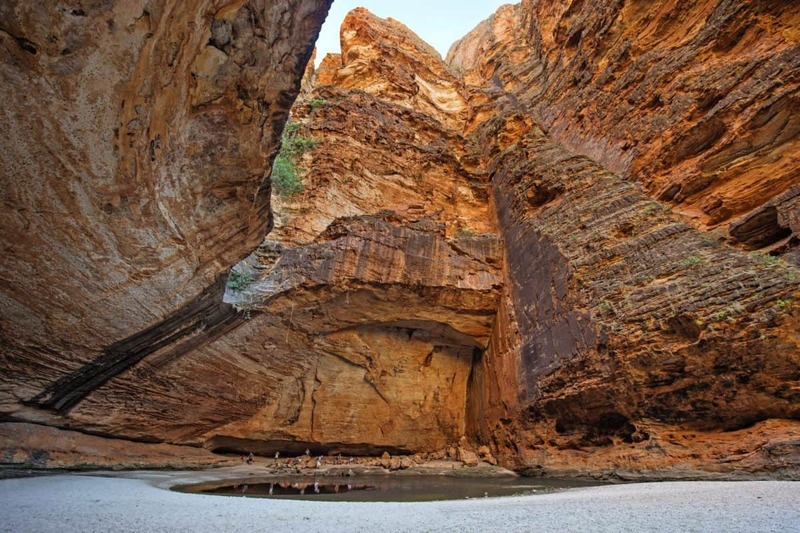 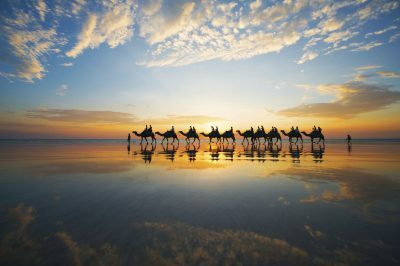 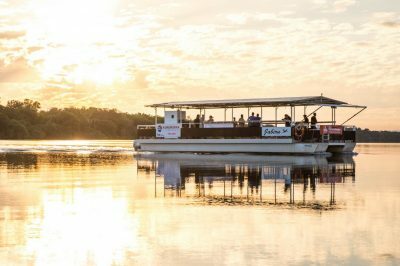 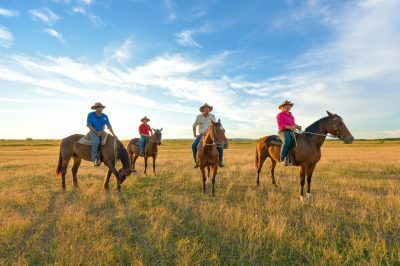 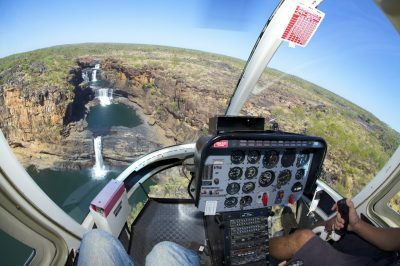 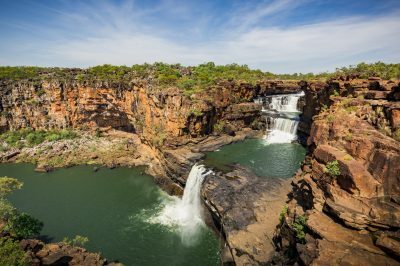 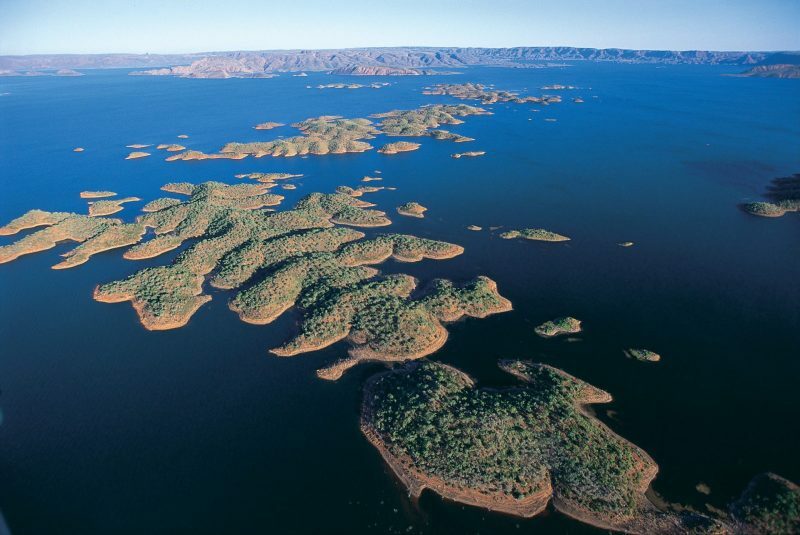 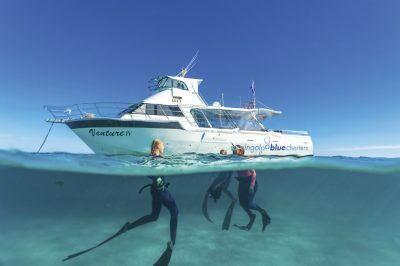 You will also fly over the stunning Carr Boyd and Osmand Ranges, and the Ord River and Bow Rivers. 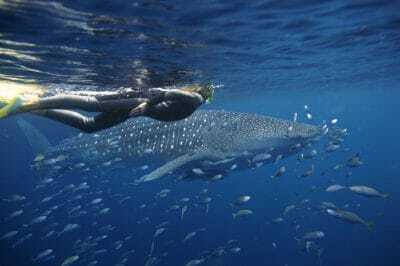 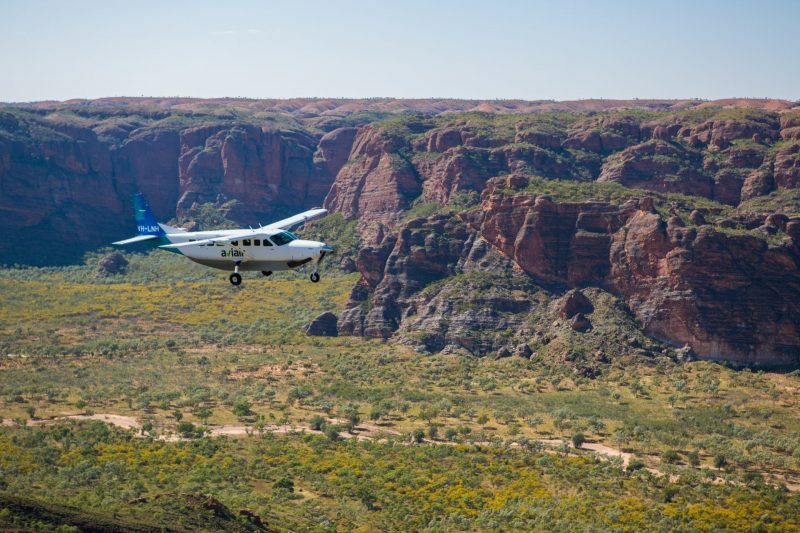 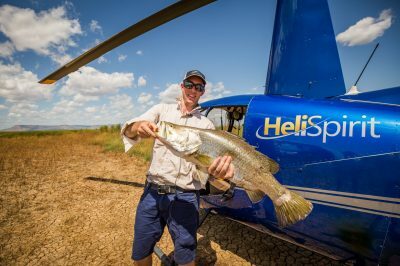 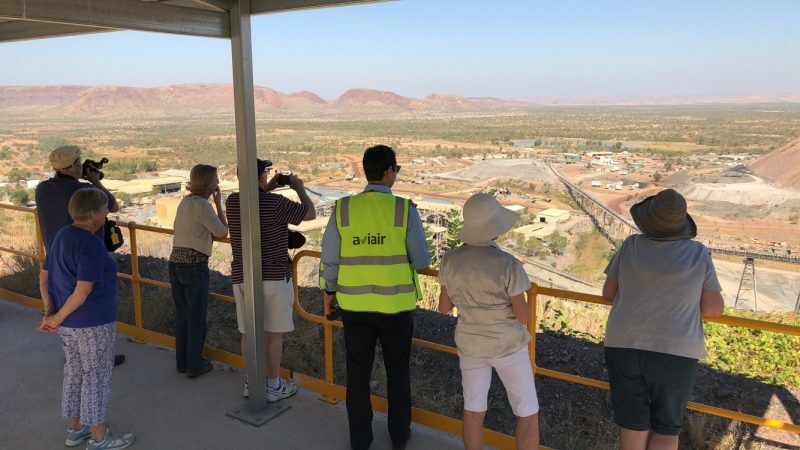 Once reaching Purnululu National Park, you will land at the remote and unsealed Bellburn Airstrip, where you will be met by a tour guide and an air-conditioned 4WD bus. 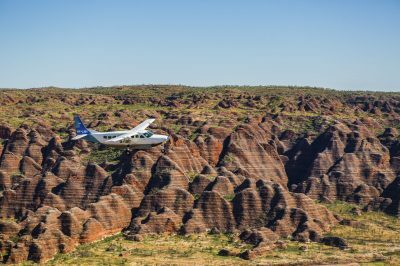 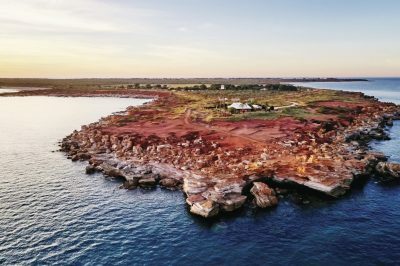 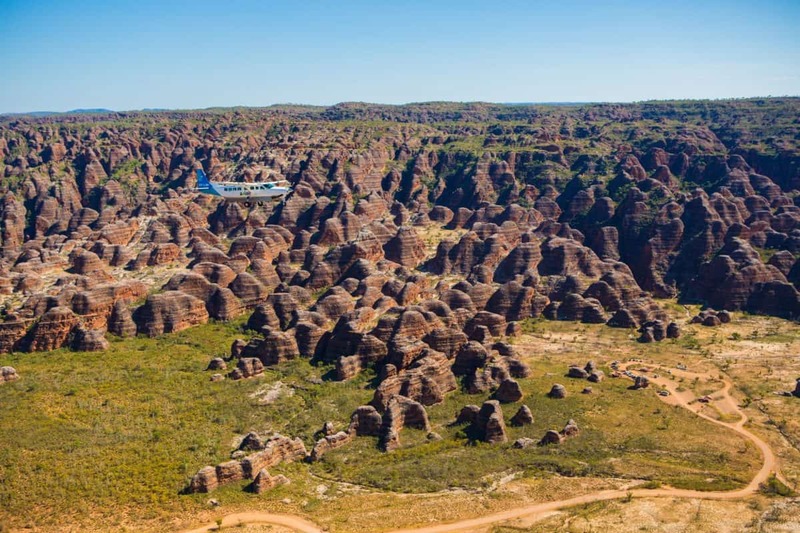 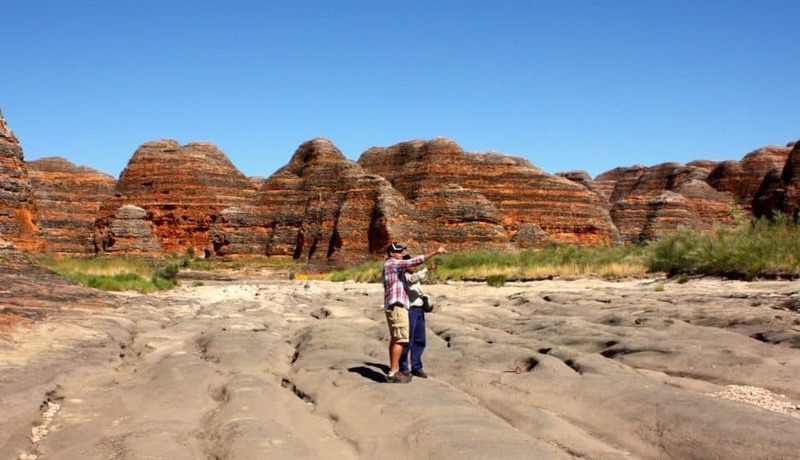 From the airstrip, your guide will drive you further into the park, where you will then disembark and enjoy a guided walk throughout the famous eroded towers and black and orange banded beehive domes of the Bungle Bungle Range. 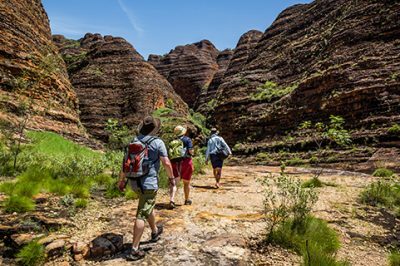 This domes walk is of moderate intensity and is about 3km return in distance. 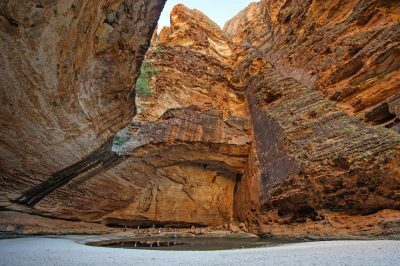 From here, you will follow your guide on the walk into Cathedral Gorge, where towering cliffs open up to form a space with incredible natural acoustics. 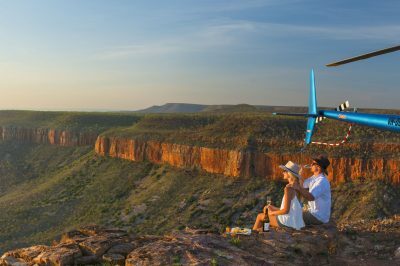 Whilst in the gorge, enjoy a fresh picnic style lunch in one of the most beautiful spots in the park. 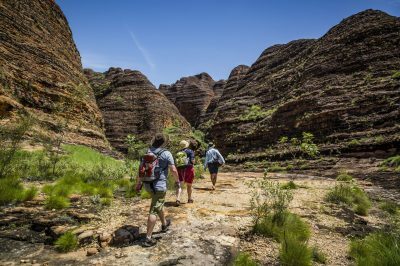 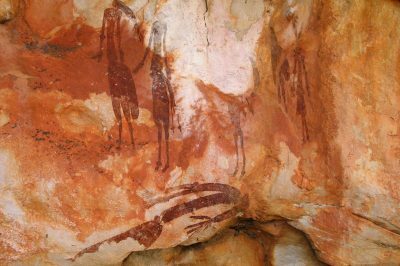 After a short rest, you will walk along the dry creek bed of Piccaninny Creek, before boarding the 4WD bus to be driven to Bungle Bungle Savannah Lodge, where you will stay the night. 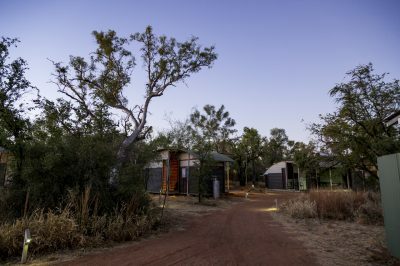 Spend the night in your private ensuite cabin. 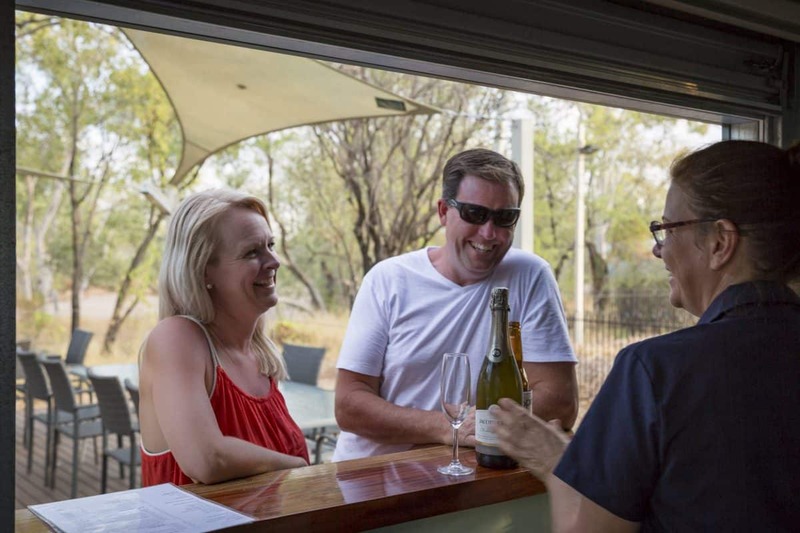 Take time to relax in the lodge solar heated in-ground swimming pool. 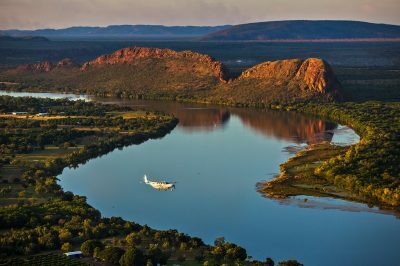 Enjoy delicious, freshly prepared meals for you including a three course buffet dinner and continental/fully cooked breakfast. 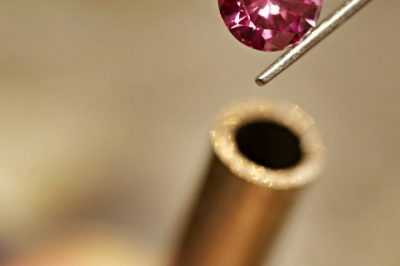 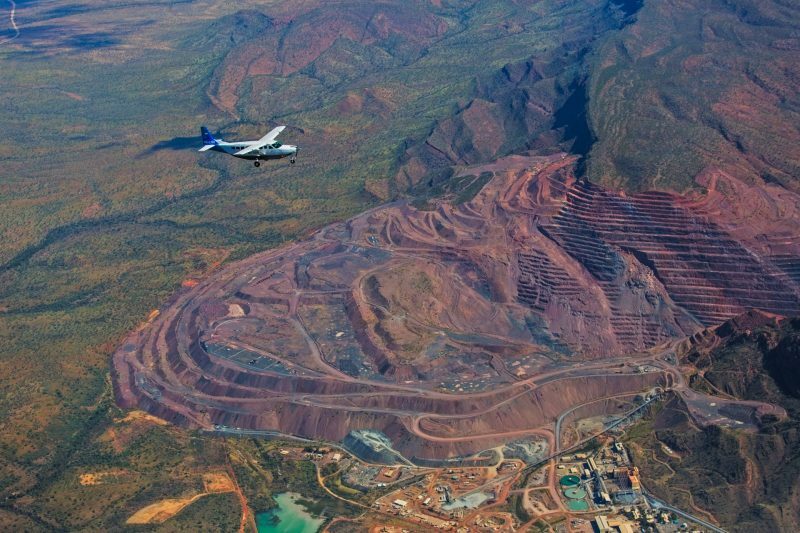 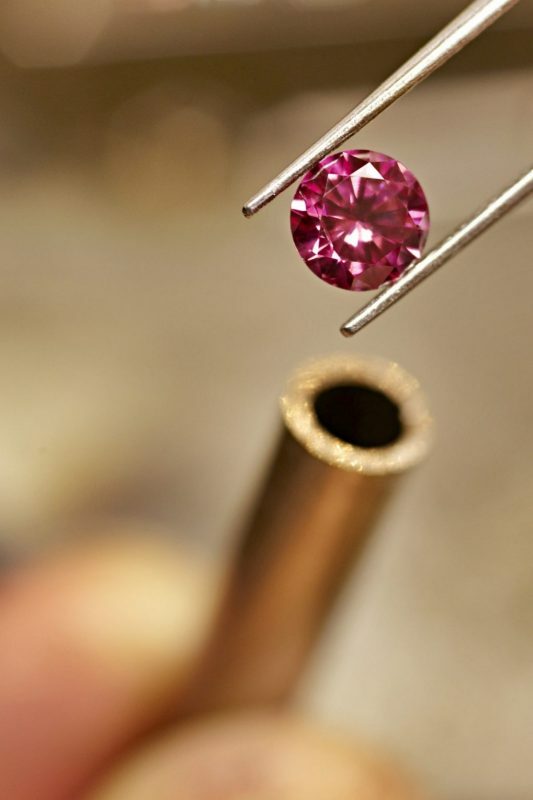 After breakfast you will return to the Bellburn Airstrip for you flight to the Argyle Diamond Mine.